1. Engaging lessons that keep students interested, curious and ultimately ignite their passion in lifelong learning. 2. Develop critical thinking skills and in the process, achieve their maximum potential in terms of academic grades. Now, let us look at what went on behind the scenes in creating an engaging and productive lesson, each and every time. 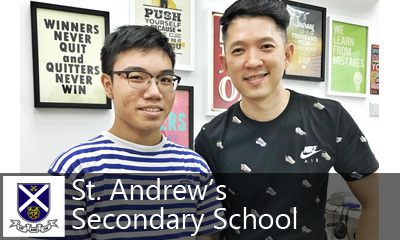 With more than a decade of teaching experience in MOE schools, Calvin Kong had worked with a wide spectrum of students, ranging from those gifted in Physics to the ones who find the subject very challenging. These very important experiences had helped him develop an acute sense in picking the right words to explain concepts to the right students. In class, he memorises all the questions and answers that he provides his students for practice. Together with his years of experiences and familiarity with common difficulties faced by students, he is able to spot on students' difficulties and give quick and succinct feedback to help them move on. Every class is highly efficient. Calvin Kong breaks down the 22 Chapters of the syllabus into 53 bite size bits. Together with clear explanations, research-proven teaching methods and superior lesson resources, learning Physics had never been easier. Lesson Planning - For a Perfect Class, Everytime. Every chapter comprises of about 2 to 3 Focuses. Through years of interaction and experience with students, I have discovered that the secret to excellence lies in getting the Key Concepts right. If the Focuses are like doors, then the Key Concepts are the keys to unlock them. Many students who did not identify and master these key concepts will find themselves stuck at a certain level and unable to pass through the door to reach their target of scoring a distinction. When Calvin Kong creates a new worksheet, he will put himself in the shoes of his students and do it. In doing so, he is able to anticipate the conceptual challenges faced by the students, ensures there is enough writing and sketching space, eliminates typographical errors and even ensure consistent font and sizes so that his students only receive the best learning experience. Calvin Kong recognises that students' attention is not consistent but follows the trend as shown in Graph 1. 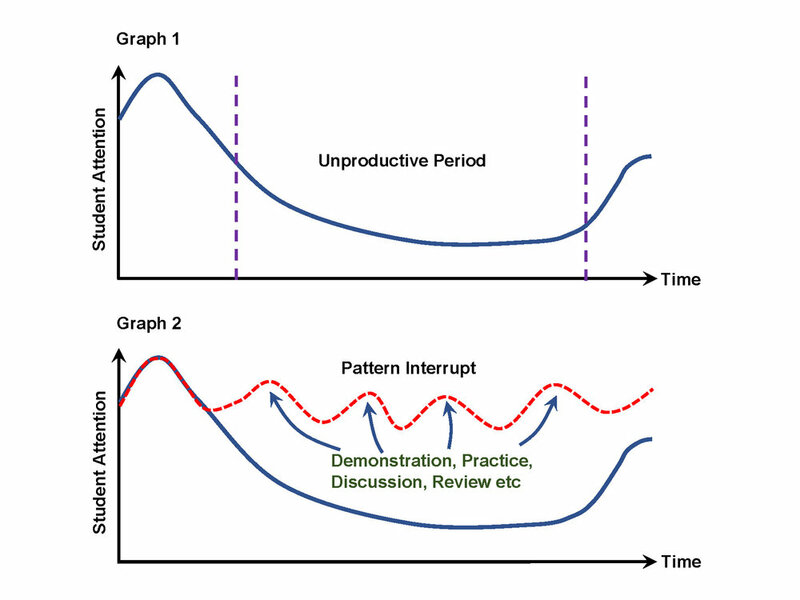 Therefore, his lessons are carefully planned to have regular changes in activities (Graph 2) so as to interrupt the process of loosing their attention and help students stay focused. Everyone knows that it is torturous to memorise facts and formulas from a textbook. Instead, show them the wonders of Physics and they will start their journey of further discovery. When Calvin Kong explains it, students understand. When students do it, they confirm. Making Physics come to live with the help of gadgets and tools; some purchased, some custom made. Having went through the Skillful Teaching Enhanced Mentoring (STEM) Programme, a course jointly conducted by Research for Better Teaching, Inc. (Massachusetts) and New Teacher Centre (California), Calvin Kong understands that it is the tutor's duty to check the understanding of his students. Apart from skillful questioning techniques, the other concrete way is to provide feedback by marking the students' work. Calvin Kong provides not just worksheets, but a full range of quality resources to help every individual students reach their maximum potential. Understanding that students have different learning styles, Calvin Kong drew Concept Slides that can be saved into any device and be read on the go. Every student's learning style is unique. This fact can easily be observed in class where some students will just listen intently while others will be taking down notes quickly. Some students prefer to file up their lesson materials by date while others will organised them by topic. There is no right or wrong method but more of a preferred method. Knowing this, Calvin Kong provides a variation of learning resources. For example, apart from his popular 2-Paged Summary for every chapter, he also provides templates for students who prefer to create their own notes. By using Computer Simulations., challenging topics like Waves can now be better visualised and understood. Credits to PhET Simulations. 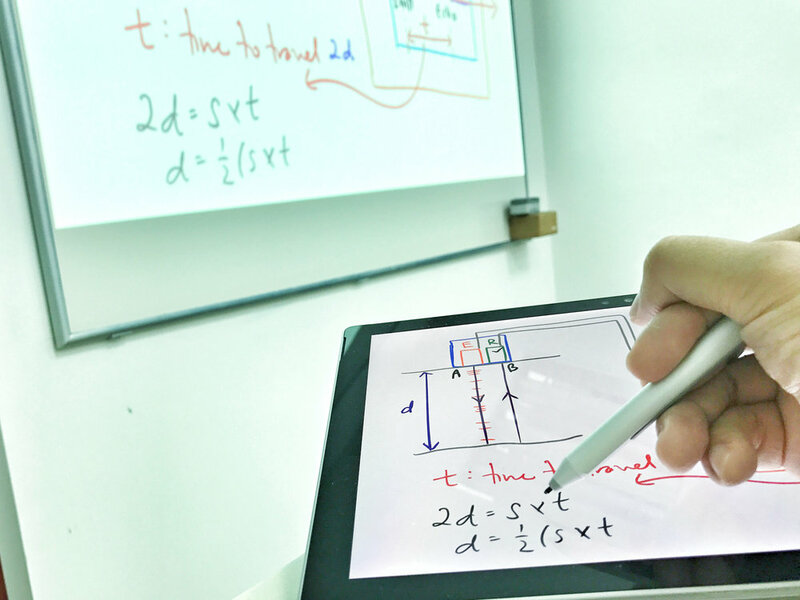 Calvin Kong ditched his whiteboard markers for the Surface Pro. It allows him to draw colourful illustrations, save the images and send them to his students. We have come to the end of this Virtual Tour. Calvin Kong would like to state that all the features of his curriculum programme does not count if the students do not achieve their desired grades eventually. He is proud to share that ALL his students had either achieved a distinction or improved by at least 3 grades, or both!